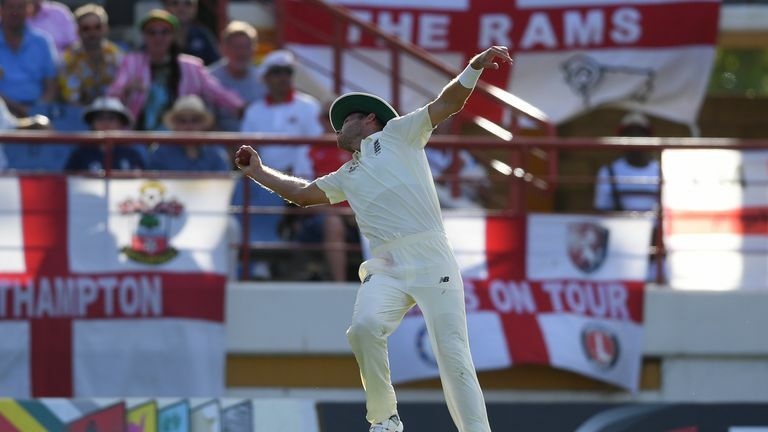 Mark Wood produced an incredible spell in St Lucia but how did Bob rate him? Bob Willis hands out his grades after England's series loss in the Caribbean, with whirlwind Wood shooting top of the class. Read Bob's ratings below - and let us know what you think on Twitter @SkyCricket.. It's been a nightmare tour for Jennings and one which proved beyond doubt that is not a Test batsman, particularly against seam bowling. He needs to go back to the county circuit and completely revamp his technique. Burns showed some signs of stickability without going on to get a big score. He finds some very odd ways of getting out, there were a few casual shots, including when he offered slip-catching practice in Antigua. There is hope. Denly had a very tough debut on a rogue pitch in Antigua and he had two disappointing dismissals in the series when he cue-ended edges behind. He had a great opportunity to score a hundred in St Lucia which would have remained in selectors' thoughts. He is not nailed on for the Ashes yet. Root had a very quiet time of it until the final Test when the horse had bolted. He went and worked on his technique with Mark Ramprakash for two hours on a day off which showed his dedication. That bore fruit in the final innings of the tour with a magnificent hundred. I still think he should bat at No 3. Jonny has been up and down the order - one day No 3, the next No 7. One day with the gloves, one day without. Has played some disappointing loose shots, getting himself bowled far too often but I can't believe his spot in the order is No 7 when he is potentially England's second-best batsman. A rethink is needed there. Two handy half-centuries for Jos in the St Lucia Test match - he did okay in his new spot at No 5 having worked his way up from No 7. One of the best balls of the series - bowled by Kemar Roach - denied him a possible century in the final Test, so he did okay. Apart from his catching, which let him down. Largely disappointing with the bat until the final Test and had to bowl long spells with the ineffectiveness of Sam Curran in the opening two Tests, which I'm not sure did him any good. There was some brilliant athleticism and great catches in the field but still to convince in that middle order with the bat. 'My moment of the series!' 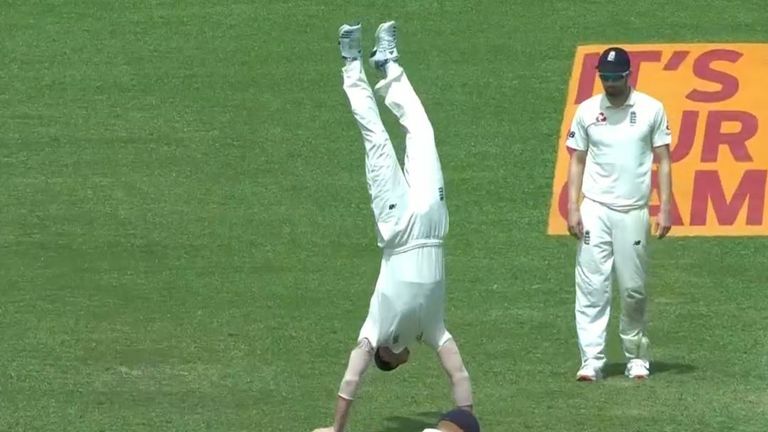 Rob Key was bowled over by Ben Stokes' handstand on day four in St Lucia! I thought he was unlucky to be left out of the third Test having been Man of the Series in Sri Lanka in November. He had one dodgy session behind the stumps but apart from that was immaculate. He also looked comfortable with the bat despite not registering a big score. I hope the selectors go back to him and get Bairstow up to four or five in the order. Moeen was mercurial with the bat yet again but he was a revelation with the ball. Whether the pitch turned or not, Ali seemed to have the wood over quite a lot of the Windies batsmen. A good tour for him all things considered. The best bowling spell of the tour came from Wood in St Lucia - he bowled quicker than anyone else on view, including Shannon Gabriel. That was a real feather in his cap. 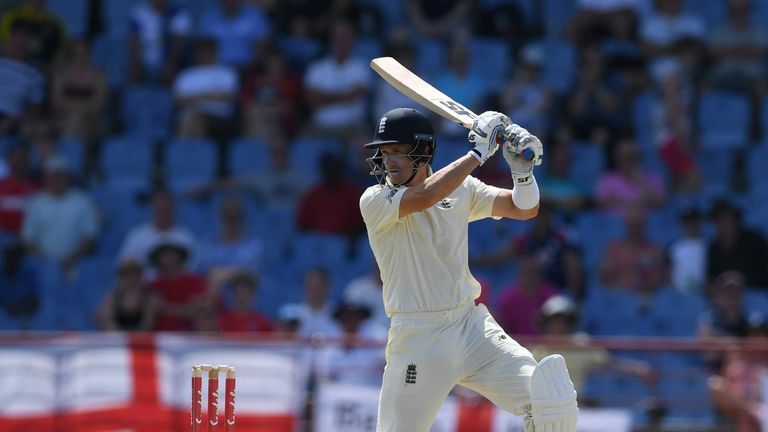 He was not quite so effective in the second innings but if England can keep him fit and bowl him in short spells a la Mitchell Johnson they may have an Ashes changer. Jimmy enjoyed the conditions more than he did in Sri Lanka and even had the ability to change his run-up for the final Test to hit the pitch a bit harder. He is always a big handful with the new ball but perhaps not quite as effective as he might have been on the Antigua pitch. Stuart was unfathomably left out of the line-up in Barbados, which heavily contributed to England losing this series. He should definitely have taken his place there. He ran in with great gusto in Antigua, even though Windies posted a big score there. His batting has simply faded away. After a promising start against India, he was really exposed by the decision to give him the new ball in Barbados. He is not tall enough for Caribbean conditions and if the ball didn't swing he was just gentle medium pace. He didn't get going with the bat but how are you supposed to batting at No 9? I have always thought he was a luxury. If England were scoring 450 on a regular basis then fine. He made an important contribution in Sr Lanka where three spinners were used but I honestly can't see him playing for England again in Test cricket.